Product code: AG-N Category: Adapt-A-Kits. The Adapt-A-Nail Kit is a great way to sublimate using your own device. This kit includes: The Nail Heating Device in Titanium, 14-18mm Atomizer (Stainless Steel or Titanium), Stainless Steel Stand, Stainless Steel Screen Set (2x), Stainless Steel Cleaning Tool, Monkey Controller and Power Supply. 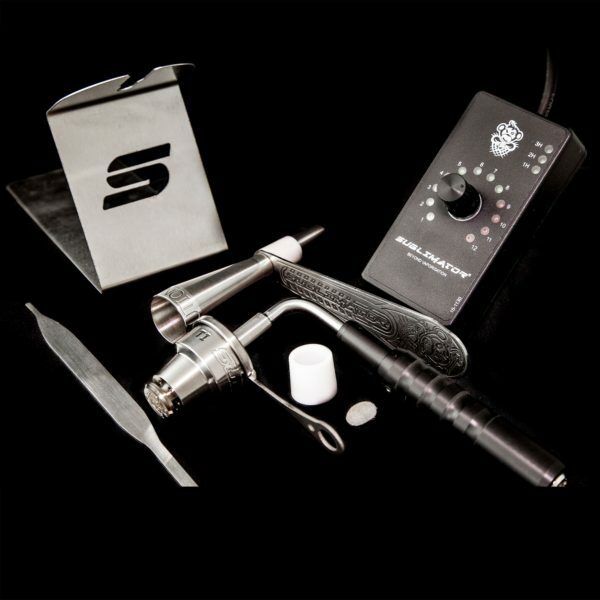 The Dabmaster heating device: is a hybrid design of both the Apollo and the Nail heating devices. The hybrid design makes it great for all herb, solid bio-organics and concentrate usage.